Ding Dong! Merrily on High/He Is Born! 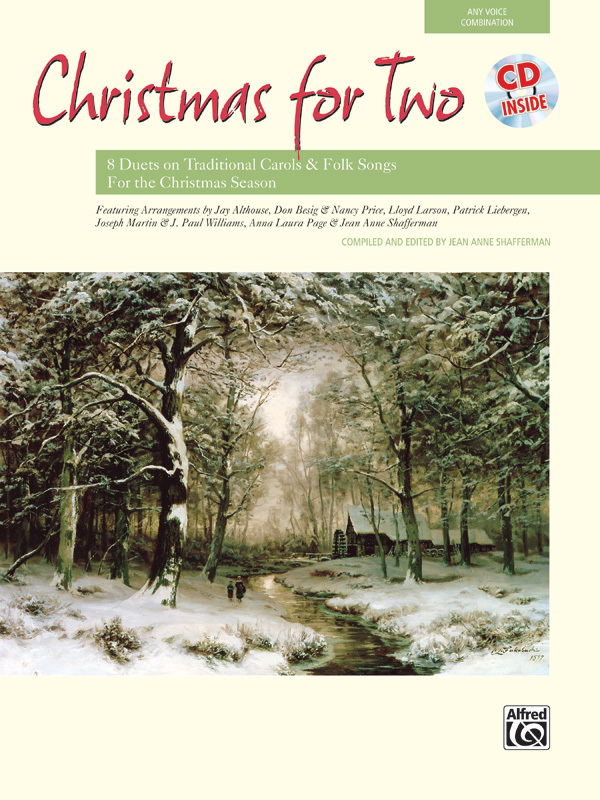 Christmas for Two continues the tradition of flexible, easily prepared vocal duets established by Carols for Two, Spirituals for Two, and Folk Songs for Two. This new collection features eight beloved carols, folk songs, and folk hymns, arranged for two equal voices. With lyrics for Advent, Christmas, and Epiphany, these duets are perfect for performance throughout the season, for both concerts and worship.